Cottonwood Veterinary Clinic is a full service veterinary hospital located in Kearney, Nebraska. We offer state of the art services in small animal medicine, surgery, laser surgery, dental digital radiology, behavior, dermatology, ophthalmology, digital radiology and ultrasound. Since opening our doors in 2002, we have concentrated on preventative medicine. It is our goal to have your pet live the healthiest and happiest life possible. 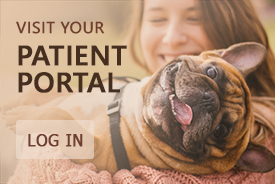 Please contact us today to take your pet's veterinary care to the next level! "I wouldn't board my animals anywhere else! The doctors and staff at both the clinic and the retreat are FANTASTIC, and acupuncture and laser treatments have been absolutely LIFE CHANGING for my elderly dog. I can't even put into words how grateful I am!!! Thank you!!"